The ALS Association publishes a variety of newsletters and periodicals to provide more information to people with ALS, their families, researchers, caregivers and other interested parties. Click on any item below for more information, to subscribe or read past issues. Vision focuses on information of interest to people with ALS, their families, advocates and the entire ALS community, such as research, care services topics, government initiatives, ALS awareness and fundraising efforts, community partners and other subjects important to the community. The ALS Association's national research periodical, provides in-depth coverage of current research projects and exciting clinical trials. The ALS Association's national e-newsletter provides the latest news in ALS research and clinical trials, public policy issues and care services information, delivered each month. The newsletter also covers ALS awareness activities taking place across the country and other stories of interest to the ALS community. The ALS Association’s Care Services electronic newsletter, ALS Insight, is published quarterly. 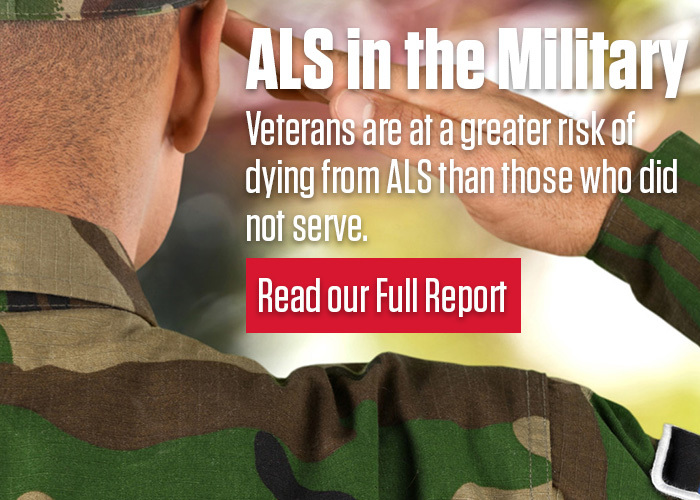 ALS Insight covers a broad range of subjects including stories about the lives of people with ALS, Q&A with medical professionals, tips on daily living and communication, and webinar announcements.